Tau Zeta Epsilon (TZE), Wellesley College’s Art and Music Society, was founded in 1889 to provide an opportunity for additional study of the arts and promote good fellowship among students. According to the founding mission statement, the purpose of the Tau Zeta Epsilon Society shall be the cultivation and enhancement of an artistic spirit at Wellesley College, leading to a greater appreciation of art, wherever found, and all that tends to the creation of the beautiful. Tau Zeta Epsilon today, with our varied social, musical, and artistic agenda, little brick house to call our own, and expansive alumnae network, is far removed from the loosely-joined band of our 13 original founding members. Nonetheless, all sisters of Tau Zeta Epsilon still follow the original mission to create art and spread beauty throughout the world. IF YOU HAVE ANY QUESTIONS REGARDING TEA-ING FOR TZE, MIXERS, HOUSE RENTALS OR LECTURE SCHEDULES, PLEASE REACH OUT TO US AT TAUZETAEPSILON@GMAIL.COM. According to the founding mission statement, the purpose of the Tau Zeta Epsilon Society is the cultivation and enhancement of an artistic spirit at Wellesley College, leading to a greater appreciation of art, wherever found, and all that tends to the creation of the beautiful. 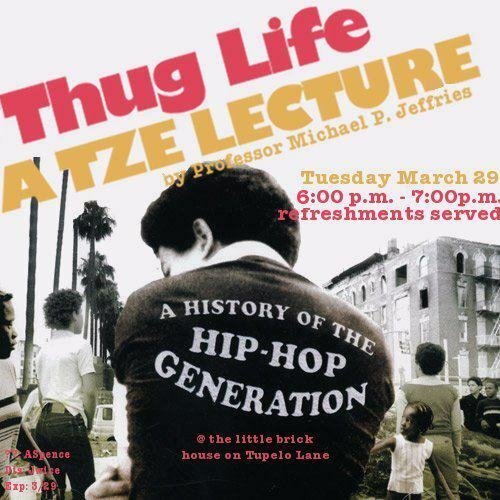 As such, Tau Zeta Epsilon hosts two music and two arts lectures for the greater Wellesley community during each semester. These lectures often feature distinguished Wellesley professors, outside guests from the Boston area, or various on-campus music groups. Originally named "The Art Society of Wellesley College", Tau Zeta Epsilon is one of six societies established in the late 19th century. Societies were formed to provide an informal setting in which to pursue certain academic interest and also served as social centers for selected members. This society was established to further the study of arts in a scholarly fashion. In 1890 the Society became a more permanent on-campus organization and adopted both a name, Tau Zeta Epsilon, and a crest, the winged wheel. From 1900 the society held yearly studio shows exhibiting student art work, as well as adopting the tradition of the Living Portrait in which new members to the Society recreate famous works of art. TZE’s first society house was built on the east side of campus, and was removed when construction of the new Science Center began. A new house, fondly referred to as “The Little Brick House on Tupelo Lane” was set to be built near Lake Waban. The site of the house was approved and plans were developed by three TZE graduates: Eleanor Raymond (’09), Helen Baxter Perrin (’23) and Esther Parsons (’23). The plans and site were reviewed by Arthur Shurtleff, a consulting landscape architect, and the new TZE house was finally built in 1929. Our beautiful English cottage, reminiscent of the Cotswald tradition, has a unique and varied roof of multiple elevations. Although the house can be viewed as four blocks or units, the roof integrates the units by sweeping from one elevation to another without angular breaks, unifying the building. From the slightly elevated roadway approaching the house, the roof produces a dramatic impression, and its polychromatic slate shingles contrast nicely with the brick exterior walls to create the charming effect of the Tau Zeta Epsilon Society House on the shores of Lake Waban. The Tau Zeta Epsilon House is a treasured home to many members and alumnae of TZE. 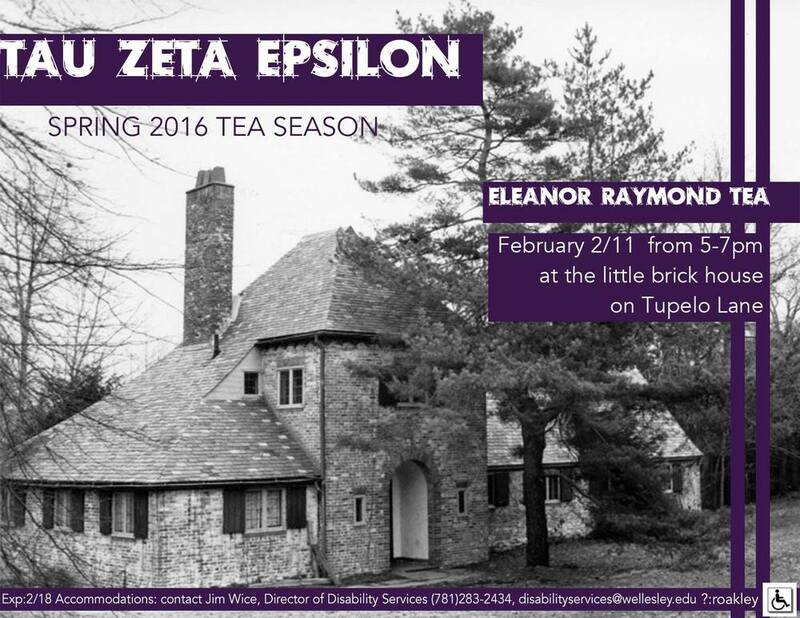 Any member of Tau Zeta Epsilon or the greater campus community may rent the TZE house for a personal event. Examples of past events for which the TZE house has been rented include class meetings, lectures, luncheons, baby showers, bridal showers, and weddings. Features of the house include a full service kitchen, a stage, a fireplace, a Steinway & Sons piano, and a deck with four french doors opening onto it. The house has a capacity of 100 people. The front of the house includes beautiful views of the Wellesley campus and the shores of Lake Waban. Tables, chairs, flatware, and table linens may be rented from local rental companies. Parking space for up to five cars is available on Tupelo lane right next to the house, and additional parking is available in the campus visitors’ lot, at a 5-10 minute walk from the house. If you are interested in renting The Little Brick House on Tupelo Lane for your own special event, please contact us at bbricen@gmail.com for more information. We look forward to welcoming you into our home! The Tau Zeta Epsilon Alumnae Association (the Association) is an alumnae organization founded in November of 2005 by Tau Zeta Epsilon of Wellesley College alumnae. Membership in the organization is open to anyone who was a member of Tau Zeta Epsilon Arts and Music Society during their time as a student at Wellesley. Working in cooperation with the student-run on-campus club, we promote the arts and music on campus and in our local communities, fundraise for charity, and oversee outside rentals of our house in order to maintain its preservation. Tau Zeta Epsilon (TZE), Wellesley College’s Art and Music Society, was founded in 1889 to provide an opportunity for additional study of the arts and music and promote good fellowship among students. According to the founding mission statement, “the purpose of the Tau Zeta Epsilon Society shall be the cultivation and enhancement of an artistic spirit at Wellesley College, leading to a greater appreciation of art, wherever found, and all that tends to the creation of the beautiful.” Since its inception the Tau Zeta Epsilon Society has served the student body of Wellesley College and the surrounding local community by promoting the arts and music. The Association provides oversight and guidance in facilitating a functional working relationship between the student club and the administration of Wellesley College. The Tau Zeta Epsilon Alumnae Association is organized exclusively for educational purposes under Section 501(c)(3) (pending) of the Internal Revenue Code. The Association helps to fundraise through its alumnae network by maintaining its alumnae database and corresponding with alumnae via mail and email. Alumnae contributions are used for house repairs and upkeep, supplies, and furniture, and student financial aid. Please visit our donation page if you would like to make a contribution! The Association organizes alumnae to participate with current club members in various charity activities such as the Relay for Life Walk, Derby Days events, and Cradles to Crayons events as examples. The Association coordinates the rental of our clubhouse to outside parties who have some affiliation with Wellesley College. The rental fee collected goes directly towards maintaining the upkeep of the house. It is the mission of the association to promote arts and music education and appreciation at Wellesley College and throughout the greater Boston Community. Beginning in 2005, the Tau Zeta Epsilon Alumnae Association has emphasized, organized, and supported philanthropic activities related to arts and music in the community. Just a year after graduating, Bethany learned that the alumna currently overseeing TZE, Erin Lehman ‘81, was looking to turn over her leadership role. She jumped at the chance to stay connected with the club and began taking on house rentals and advocating with the administration on TZE’s behalf. She currently resides in Weedville, PA with her family and works as a women’s health Nurse Practitioner in nearby Dubois. After several years of helping Bethany as needed in coordinating house rentals, Brittany began taking a more active role in partnering directly with the student club members in order to help them make the most of their time in TZE. Brittany currently resides in Quincy, MA and works as a design coordinator for Winston Flowers. Annie joined the board in 2014 and has been the driving force of our fundraising efforts and helping to engage our youngest and newest alum classes. She currently resides in Boston and works in public relations at Charles River Associates. We hope that you will consider donating to Tau Zeta Epsilon. All donations are welcome and we appreciate everything you do to support the club. Once we have received your donation, you will receive a confirmation through the payment client or a letter of acknowledgement if you pay by check. If you do not receive a confirmation, please let us know. Check: If you would like to mail a check, please make it out to “Tau Zeta Epsilon Alumnae Association” and send it to alumnae board member, Brittany Bricen at the address below.